Supplementary material reads: "Photo assignment for Friday, November 8 at 1 p.m. Pls. 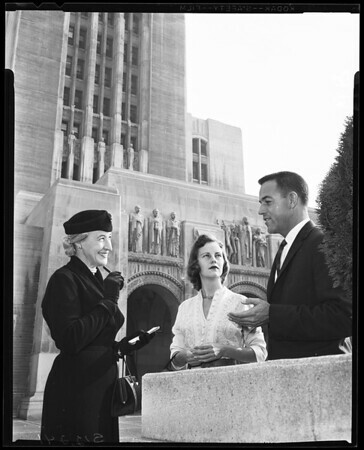 go to County Hospital, information desk, meet Mrs. Rosenow of USC Medical Faculty Wives club, get shots of plans for dance, working in hospital, etc. Candid, three cols., close together, animated. Contacts Monday. Thanks. Carter Ludlow".